Great location surrounded by many restaurants and bars. 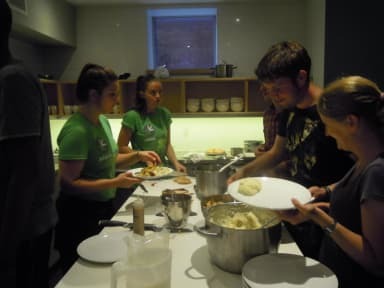 The hostel is an amazing place to meet other people especially during the events in the evening that are planed by the hostel. I will definitely come back! Tolles Personal und super Rooftop Bar. Best hostel I ever stayed!! Awesome hostel in a lovely neighborhood of Toronto. The place is huge, got a nice common area and an amazing rooftop area overlooking the skyline of Toronto! The entire hostel is perfectly clean and the staff is always willing to help. I can highly recommend staying at Planet Traveller! This hostel was clean and accessible. Just around the corner, there's a supermarket, restaurants in Chinatown or Kensington Market, convenience store, and more. Check-in was easy, and the view from the rooftop is amazing! (I didn't have a problem with it, but please be aware that you might need to walk up stairs, which could be difficult with luggage. ) The hostel staff was really helpful and friendly, I always felt welcome. Thank you for this nice experience. Awesome hostel in the beautiful neighborhood of Kensington Markets! The place is huge offering a cozy common area on the ground floor as well as an amazing rooftop! The entire hostel is perfectly clean and there are cool activities every day! The rooms are equipped with lockers and comfortable beds! Breakfast is good too! 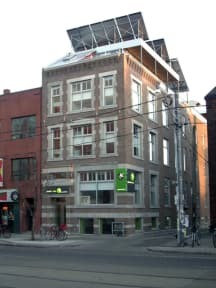 I can highly recommend staying at Planet Traveller Hostel while you are in Toronto! Summa summaru war das Hostel super. Einzig allein das Bett war durch und durch durchgelegen! The cleanest hostel I’ve been 👍🏻 But they should add /change the breakfast options, it would be greater. The location is top, Kensington Market & streeet car right on the corner. For the winter is too cold outside the sleeping area for example the bathroom and floor.